Spoilers! The MUST see moments from this week's soaps! This week on , Callum is hopeful when Tessa agrees to hear him out, but he is disappointed when Tessa refuses to get back together. Lee and Tessa are stunned when Callum accuses them of sleeping together and Callum feels foolish when he realises he got the wrong end of the stick. Later, Tessa feels bad when Lee reveals Oisín was trying to get one over on Callum. Tessa is given food for thought when she sees how well Callum interacts with Fionn. For more, click here. How will Moira react when she finds out Cain tried to kiss Charity? This week on Emmerdale, Charity arrives at Butler's Farm to confront Cain over his recent brutish behaviour. She is shocked at the state of the house and demands answers from him. Charity thinks shes making progress until Cain kisses her. She is appalled and fights him off - which Matty captures on video. Charity worries there's more trouble on the horizon. Moira returns to the farm - how will she react when she finds out Cain tried to kiss Charity? For more, click here. Stacey worries about Hayley, who later makes a big decision about her future. Meanwhile, Stuart finds himself in an impossible situation. Elsewhere, Alfie's lies catch up with him and his problems get worse when Ian pulls his investment. Desperate for cash, he seeks out Phil at The Arches and becomes intrigued when he spots Keanu hiding a wad of cash for Phil. Later, Alfie makes an offer to Phil and is delighted to finally have the cash he needs. However, Alfie's good fortune doesn't last for long and he sends a text to Kat, revealing that he's in trouble. For more, click here. Liz tells Amy that she needs to chat to her parents and brings her home. Tracy remains somewhat calm but Steve loses it and storms into the corner of the shop and accuses Aadi of getting Amy pregnant. Amy is upset to discover that the whole school will be talking about her. When Steve demands to know who the dad is, will Amy give his name? Elsewhere, over lunch in the Bistro, Roy and Carla reminisce about Hayley but they’re interrupted by Shona, who tells Roy that Sylvia’s been taken seriously ill. Meanwhile, Abi is aceing her interview, but when the interviewer asks Abi about the gaps in her CV, she becomes flustered and claims she was travelling in Botswana, leading to some very tricky questions. For more, click here. On Home and Away this week, Jasmine delivers some big news to Robbo and Tori. Jasmine looks after Tori while she's in hospital with continued spotting and dizziness, and Robbo is a ball of stress as he doesn't feel like enough is being done to help her. As they await blood test results, Robbo grows even more impatient when the specialist is delayed and they still don't know what's happening. 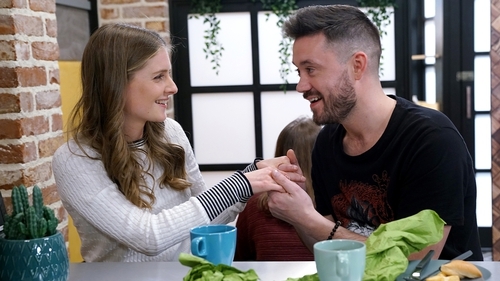 Robbo goes to Jasmine to look into Tori's file, and she reports back with some big news for the pair – an embryo has embedded itself and they're set to become parents. For more, click here. On Neighbours this week, Terese is torn between her feelings for Paul and Leo. As Leo tries to convince her to take him back, Terese has a whole new perspective since the shooting and doesn't know what to do about the feelings she still has for Paul. Leo pulls out the stops and buys her some very thoughtful presents, which make her realise how much there actually is between them, and admits that she wasn't perfect during their relationship either, and that they should give it another go. When Piper hears about their reconciliation, she worries that Terese is rushing into things, remembering how she called out for Paul and confessed her love for him while in hospital, but Terese tells her that it didn't mean anything. For more, click here.